New development of washing line, adaptable to washing of poultry cages and carts. 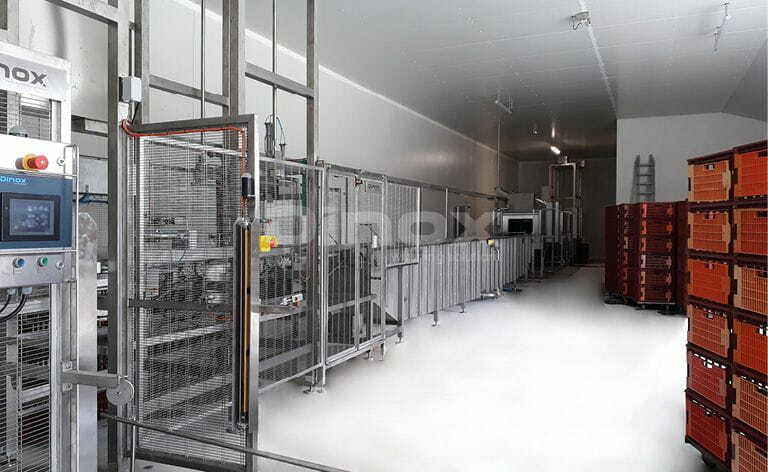 Washing line of cages and carts with high power and optimal features. Different phases of washing for a complete cleaning, according to specific needs of hygiene. Can be adapted to solve any requirement of washing and drying, with additional modules rinsing, disinfection and high pressure, and additional modules drying. Supply chains and accumulation systems.